Follow the housemaid Mari on her walk along Postgatan. Gothenburg: The 9 September is not only the election day but also the cultural heritage day. 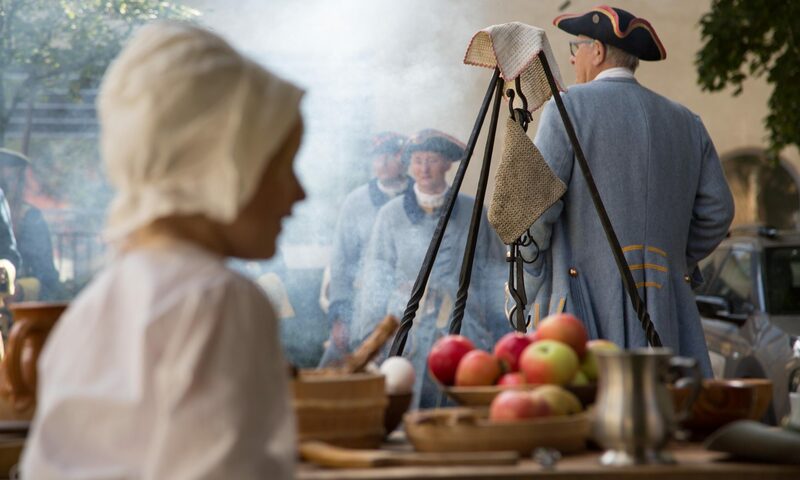 In collaboration with Higab, Historieverket offers a free show of the Emigrants' way and guided tours in Kronhuset. Tickets are collected at the Crown Hall entrance 30 minutes before the respective viewing and hiking. Max 25 persons for the show of the Kronhuset and 35 for the Emigrants' road. Length: The crown house about 45 min and the Emigrants road about 60 min. Over the years 1850 - 1930 emigrated 1,2 millions of Swedes to America. Most of them sealed from Packhuset in Gothenburg. Postgatan, which was called Sillgatan, was the big emigration street with offices, hotels, shady taverns and restaurants. Join the maid Mari (played by Anette Sundqvist) on her walk along the street, with dreams, hopes and fears before the departure. Directed by Isabel Lagos. In Gothenburg's oldest house from 1654, time has stood still. Welcome to an exciting view of the unique building with stories about the old city in war and peace.